Although the quality of the items sold at the dollar stores varies greatly, there are some items that are just foolish to buy at regular retail price. Thanks to readers, we have grown this list from 10 to 67 items!!!! Here are ten 15 28 30 37 49 67 items that I always pick up at the dollar store. Double-sided tape – You can get 130 inches of this tape at the dollar store. This is a shorter tape than the 450 inch roll for $4.79 at Staples, but it is still 1/5 cent cheaper per inch. Cotton swabs – A box of 170 Q-tips at CVS is $2.79. The same amount at the dollar store is… well, a dollar. It’s not the Q-tips brand, but I see little difference. Paper clips – A pack of 100 vinyl-coated colored paper clips for a dollar versus 60 of the same for $2.49 at Office Depot. Clay flower pots – Every year I get at least a dozen of these wonderful flower pots. I like to decorate clay pots, put in a lovely plant cutting, and then give them as gifts. The same clay pot at Lowes is $3.97. Wax paper, Parchment Paper & Tin Foil – These are hard to compare price-wise because the square footage is different in the boxes at the dollar stores than the boxes in the regular grocery stores. However, there are still cheaper per inch. Plus, I don’t use these items that much, so I don’t want giant rolls taking up my limited drawer space in the kitchen. I also really like the pre-cut pop-up foil sheets that are huge frustration savers. Holiday decorations – Every month there is an aisle full of new holiday decorations. These are cheap and fun gifts for the kids or a little seasonal pick-me up for the house or office. Can’t beat the price. When I am done with them, if they are still in good shape, I give them away on freecycle. Mailing Labels – You can get a package of 10 mailing labels (the kind with “from” and “to”) at the dollar store. The only other place that I have seen these are at the post office where they are horribly overpriced. Yes, I know that you can label a package in many cheaper ways, but sometimes you need and want the package to be labeled in a more professional way. No Damage Hair Elastics – A package is $2.39 at CVS. No brainer! My kids go through these a dozen at a time. Where do they go?? I could save a lot of money finding out! Shaving Cream – $2.59 at CVS. I also look for quality homeopathic remedies while I am in the health aisle. I once found a very expensive holistic expectorant in the dollar store and grabbed up several boxes. Candy – If you take your own candy into the movie theater, then getting your candy at the dollar store is the way to go as you can save up to $4 per box of junior mints or M&Ms. You’ll see a lot of off-brand candy, but don’t be turned off. There is plenty of brand name candy as well, like Snickers, Butterfinger, and Tootsie Rolls. Plastic utensils. Reader Dawn says: I always buy plastic utensils at a dollar store for parties. That way I’m not worried about my good stuff getting thrown away. Pens and paper. Dawn says: Hubby is always losing pens so I buy the cheap ones! Locking plastic baggies. Reader Linda says: I also always buy the off brand of zip lock sandwich baggies at the Dollar Tree. Scotch tape. Linda says: But ONLY when they have Scotch: never the off brand of tape as it doesn’t work as well. Carrie cautions against dollar store double sided tape: Also, I no longer purchase the double sided tape after I made a picture display for my father’s wake. I used the dollar store double sided tape to put pics on poster board and it did not last more than a few hours. That was a very inconvenient time to realize their tape did not work. Hard cover books. Linda says: I love their selection of hard cover books! Greeting cards. David says: GREETING CARDS !!! Two for a $ at Dollar Tree….how can you go wrong?? Groceries. A number of readers raved about the grocery and food stuffs they have eaten from dollar stores. While quality varies, the list included organic soymilk, flax seeds, various bags of beans, vegi/fruit “green” bags, dry onion soup mix, canned soups. Under garments. Julie says: good cotton underwear, socks. Shampoo and conditioner (Dollar Tree). Thanks, Jrbw! Gift bags. Thanks, Jrbw and Alison! Superglue (99 Cents Only).Thanks, Jrbw! 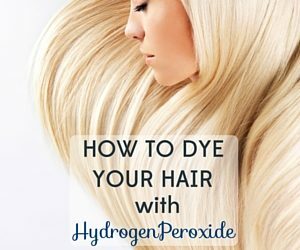 Hydrogen peroxide (99 Cents Only). Thanks, Jrbw! Puzzles, board books, and coloring books. Alison says: they always have all kinds of licensed characters like Disney… huge savings. Swiffer pads. Angela says: I buy dry and wet pads for my Swiffer, and they work great!! Trays and containers. JoAnn G says: Sterno trays and other aluminum containers. Plastic ones as well. Watch batteries. Gene says: I got 3 of those flat watch type batteries for $1. Wise tortilla chips (Family Dollar). Angie says: Half the salt of the major brands. Benzoyl peroxide (Dollar General). Thanks, Angie! Little plastic tube squeezers for toothpaste and ointments (Dollar Tree). Thanks, Angie! Juice Boxes. Susannah said: It’s hard to find 100% juice at most supermarkets, and when you find it, it’s pricey. The local Dollar Tree sells four-packs of 100% juice boxes, some of them organic. They’re smaller than standard size but perfect for my preschooler. Small flashlights. Thanks, Rachel B! Small puzzles (usually Disney). Thanks, Rachel B! Goo Gone. Thanks, Rachel B! Packing tape. Thanks, Rachel B! Christmas presents. Rachel B says: We do a lot of Operation Christmas Child shoebox packing over November and the Dollar store is an amazing place to stretch a buck–they now accept coupons as well! Tableware. The Gray Adder says: Dollar Tree has a good selection of tableware – bowls, plates, coffee mugs – all the same brand, all the same style (white, like you’d get in a diner), and all $1 a piece. Consider that even the good stuff will eventually break, chip, etc., you can’t beat that. Beer glasses. The Gray Adder says: Nice 12 oz or pint glasses like they have in pubs. Chip clips. Lisa says: I also purchase what I call chip clips. They come 5 on a card and I use them to close up an bag that I opened and haven’t finished the product. Windmill cookies. Lisa says: I purchase windmill cookies for my Mom who really loves them. Ceramic oil scent burners and the little glass jars of oil to put in them. Thanks, Lisa! Tissues. Lisa says: Sometimes they offer nice facial tissue. Small gifts. Katie says: I am a case manager for people with disabilities, and when someone’s birthday comes up (as it always does) I buy cards or little gifts from the dollar store. Noxzema razors. Katie says: They give you a good shave and do not nick like cheap-o Bics. Wipes. Katie says: My favorite thing by far though are the handy wipes. I keep them in the glove compartment of my car and use them to clean up spills, wipe down my desk, wash my hands when I’m on the go, I’ve even used them to remove make-up in a pinch. Microfiber cloths (Dollar Tree). Thanks, Lisa! Dusting mitts (Dollar Tree). Lisa says: Why spend $5-$8 on one? Cotton rounds. Lora says: I don’t know if anyone has mentioned these yet but I stock up on cotton rounds at the Dollar Tree. They cost between $2 – $3 at drug stores. Medicated powder in the yellow box. Thanks, Susan! Toothbrushes. Catseye says: I always buy toothbrushes at Dollar Tree. Sometimes you can find a package of 2 Colgate toothbrushes. You can’t beat a deal like that! Body lotion. Catseye says: Dermasil lotion is a quality brand. The price of hand and body lotion is outrageous. Eight to ten ounces of body lotion for a dollar is fine with me! Pregnancy tests. Crystal says: Dollar tree has them for $1 while the name brand ones anywhere else can be $10-$15! I’ve used them to find out I was pregnant with both of my children and I know others who have too. They’re accurate and so much cheaper. Baby wash and oil. JudyL says: At Dollar Tree I buy Angel of Mine Baby Wash and Creamy Baby Oil Lotion. They both have that mild baby oil smell. I use both products for myself — the baby wash as a bath wash and the baby oil lotion is strictly a lotion but goes on smooth, sinks right in and is absolutely not oily. So don’t buy expensive, overly perfumed lotions and bath washes, you will no be disappointed with these two products. I am not including food on this list even though I know that there are great deals on food at the dollar stores. I’m very into non-processed, non-GMO, organic food at the moment, and it is really hard to find those food items at the dollar stores, but I still always check out what they have. Bonus item No. 1 – Flash lights. I have found great LED flash lights with batteries at the dollar store. I have seen the same light without batteries at Lowe’s for over $5. Bonus item No. 2: – Band-aids and antiseptic cream. These are so expensive at the drugstore and so cheap at the dollar store. Note, reader Sherry warns against dollar store bandaids. She says: I’ve had bad luck with dollar store bandaids. They don’t stick well. 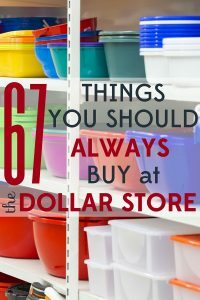 What do you always buy at the dollar store? I always buy plastic utensils at a dollar store for parties. That way I’m not worried about my good stuff getting thrown away. I also like the bowl covers and pens. Hubby is always losing pens so I buy the cheap ones! @Dawn Good tips! I’ll add these to the list for Bobbi. Thanks for sharing. Dollar tree has big microfiber cloths that I tie around the Bona mop for dusting wood floors- works better than the dusting pad made by Bona. Scary! Thanks for the warning! Dollar TREE has very nice extension cords. My mom n I are direct sell consultants and we pretty much use the dollar TREE as our office store. 3 extension cords make a very good length, flowers for table decorations, tablecloths if we are going to be using food, pens and pads, half this list is on our go tos. Especially cotton balls and felt and foam. I’ve seen this reported on the world news. Love the Dollar Store. But they recommend you NOT purchase any electronic because they are being sent from other unchecked countries, unsafe. Oh. . .and I forgot one more. . . I was ecstatic to find that at Dollar Tree for just $1 per BAG! I also get led candles, and rocks for fairy garden projects. I found actual fairy garden fairies and furniture for a buck a month ago! I got one of everything they had since I do fairy gardens each year with my two granddaughters! That’s a great tip! The Sunday Post Dispatch here in the St. Louis area costs $4.00. Outrageous. Does the $1.00 price start on Sunday or after that date? Bakink soda and vinegar are the two best things for everything! Cleaning, insecticide, weedkiller, you name it! And Dollar General is the cheapest place to buy it! Dollar General is NOT a dollar store! 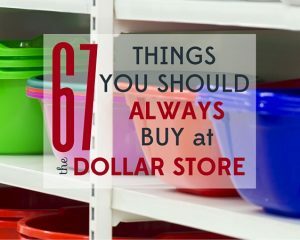 Although it’s a great store, it doesn’t apply here as this article applies to items found at a dollar store (where all items are $1 or less). wow.. The caption reads “Dollar Store” NOT “Dollar Tree” or “$1 Store”. And if you go to Family or Dollar General things cost more than $1 US and people do not seem to understand that distinction…that at a dollar store items should cost $1 or less. Stop perpetuating the ignorance!! Don’t forget about garment bags. Clothes pins, glow Sticks are the best! Sparklers for the 4th of July. Word finds, Suduko, mylar balloons…..you can get a huge bouquet for so much less than a few at a party store. Hangers! Kids and adult sizes! We love them! Also the 8-10 packs of thank you or blank greeeting cards. The works toilet cleaner, bobby pins, Mylar balloons… I also love the Betty Crocker rubber spatulas- -all dollar tree. Luffa, body wash, nail polish, nail filers, nail clippers, stickers, markers and crowns. Kids jewelry. I buy batteries and earbuds for my phone. We always need batteries for the remote controls and for my son’s video game controllers. We lose and brake earbuds on the regular, so I buy them in multiples to have back ups. We buy a lot of stuff from Approved foods on line , food stuffs either past best before date, or over stocks, also non food items at greatly reduced prices and as stock is continualy changing you have to visit often in order to find the bargins. I also always buy the off brand of zip lock sandwich baggies at the Dollar Tree. Also paper, pens, scotch tape (but ONLY when they have Scotch: never the off brand of tape as it doesn’t work as well. I love their selection of hard cover books! The loaves of bread get bought fast, but I buy them when I can. Really, the Dollar Tree is SO amazing! One in my area even has frozen foods! Don’t remember how we survived before we had Dollar stores, lol! @Linda Wow, sounds like you really know how to take advantage of Dollar Tree! I agree with you on generic tape not being so great, but I’ve had the same experience with locking plastic baggies. Perhaps the brand Dollar Tree carries is better than the generic ones I’ve tried. Didn’t know any dollar stores carried hard cover books! Next time I’ll take a peek, though I’m used to getting my books free from the library. Don’t buy their crayons or coloring books. Had very disappointed grandkids on this one! I agree! The coloring books smudge. Wal Mart’s do too. I get my granddaughter’s at one spot at Target. So disappointed, because it’s like newspaper ink and never dries. I agree. But the puzzle books are a great gift for friends who have long-term illnesses or for yourself if you travel or need something to amuse yourself in the doctor’s office, etc. I just live off the spices and we all know how expensive a small jar of cinnamon or even chili powder can cost. Many times, it is upwards of $5. GREETING CARDS !!! Two for a $ at Dollar Tree….how can you go wrong?? @David DiStefano I got you beat! I bought sets of 20 Christmas and holiday cards for $1 each at the dollar store. The paper wasn’t great quality, but for something that has a short shelf life, it worked just fine. And there was a good selection of card designs, too! Print your shipping labels on USPS.com and you get a cheaper rate and a nice looking label. I like your list but have to disagree about a couple of things. I learned the hard way that if you are going to put swabs into your ears, get the best brand out there. I was cleaning my inner ear with a dollar store swab and the end came off and was lodged deeply in my ear. I could not get it out. I called my physician who recommended having someone get a tweezers and get it out. Which I did. He also said using swabs on the outer ear is fine, but never put anything smaller than your fingertip inside your ear. Silly me. Also, I no longer purchase the double sided tape after I made a picture display for my father’s wake. I used the dollar store double sided tape to put pics on poster board and it did not last more than a few hours. That was a very inconvenient time to realize their tape did not work. @Carrie I’ve had mixed luck with off brand cotton swabs. Why not buy a pack for $1, see if the generic brand is any good, then decide where you’ll buy them. Not all generic brands are created equal! Why did you lodge it so deep in your ear?? Anyone can tell you your not supposed to place it so deep much less use them in your ear. I think the dollar stuff swabs are great for crafts and cleaning small things that can not get cleaned unless you use a swab. Didn’t your mom, dad, guardian, grandparent, doctor, etc., ever tell you to: “Never put anything but your elbow in your ear?” LOL, but I’m showing my age!!! @Julie You buy a lot of products at the dollar store! Have you noticed any difference in quality? If there is a difference, does the lower price make up for it? I’m suspicious of dollar store batteries. What’s been your experience with them? I’m not Julie, but I’ve had excellent experience with Dollar General alkalines. I’ve had problems with corrosion and leakage with other off-brand discount batteries. Branded HBA is always a better deal at the dollars. Best buys: Wis tortilla chips at Family Dollar, half the salt of the major brands; bleach and benzoyl peroxide at Dollar General, little plastic tube squeezers at Dollar Tree, for toothpaste and ointments. Make that Wise tortilla chips, plain. Unfortunately, they only come in white. @Angie unduplicated ~ What is “HBA” in batteries? I’ve had good experiences with the alkaline batteries, but I don’t buy them regularly so it may have just been good luck. Thoose are all great things!! I buy spices, small earbuds for my granddaughter to have in the car, school, etc. they work great! I buy usb cords, and cigarette lighter usb ports, they too work great. The little solar toys are great for decorating a window sill, your child’s room, etc. My granddaughter has a huge collection of them. I use the silk flowers for my wreaths. I love Dollar Tree, but they never seem to have soy milk there any more. It’s mentioned on their web site, so I know they still carry it, but they always seem to be out of it. Oh, and I’m talking about 4 different locations near me, so it isn’t just one store. I wish they still sold stevia (non-caloric natural sweetener), but they no longer do. It is not on their web site, so I know they stopped selling it. Don’t buy Jot glue sticks. They don’t stick well. However, some other school/office supplies are OK, such as 3×5 index cards. Dollar Tree’s baking soda is only 59 cents, if you buy the one in the food aisle, not the box with a “window” on it meant to be put in your fridge. It’s usually more expensive at Walgreen’s and at my regular supermarket (Jewel in Chicago). However, it is also inexpensive at Target and Aldi. Like other posters, I like their gift stuff: gift bags, gift wrap, greeting cards. Can’t beat the prices. Someone else mentioned puzzle books. I like Sudoku and like buying the Sudoku books at Dollar Tree. However, they often have poor printing inside (must be the “factory seconds”), so I’ll buy them for myself, but not for a gift for someone else. For those of you who do paper crafting, their decorative tape is very well-priced. However, don’t expect it to be the same as washi tape; it is opaque (not translucent), and it isn’t repositionable (will pull up paper if you pull up the tape). They don’t have too many different patterns, but the price is good, so pick some up if you lie the designs. I have had very good luck with calculators at 99-Cents Only stores. @Greta ~ I don’t see what your comment has to do with the topic. @Diane – YES! I also like the 99-cent store calculators. The ones that I buy are solar powered. They are great for the car or someplace where I don’t use them that often. Then when I do need them, the batteries can easily be charged with a bit of sunlight or even the dome light of the car. @BBB ~ I didn’t know they sold solar-powered. I, too, don’t use them that often: I keep one in a kitchen drawer, one in our office, one in my work tote, and one in my purse. But I do like that they’re already charged. I get a couple of years out of ’em, which I think is amazing for 99-cents! @Diane Ha! I still have my Texas Instruments calculator from high school! So it’s about…ug, I’m getting middle aged…17 years old! @BB ~ You are a baby compared to . . . never mind! I have mine from college in the 70’s. Almost an antique. Diane, see #7 above. Thus, Greta’s comment. Those are sometimes only 69 cents at drug or grocery stores. @Jrbw Holy cow! We have a lot more to add to the list. Thanks for all these tips. I hope to add them today. I won’t buy these products anywhere else! I buy a lot of the generic medicines like ibuprofen and antibiotic ointments etc.. I always buy gift bags there, they have a great selection. Also puzzles, board books and coloring books, they always have all kinds of licensed characters like Disney… huge savings. @Alison Awesome! I’ll add these to the list!!! I buy dry and wet pads for my Swiffer, and they work great!! @Angela More tips to add to the list. Wahoo! I’ve had bad luck with dollar store bandaids. They don’t stick well. @Sherry Me too. Maybe we need to write a post about things you *shouldn’t* buy at the dollar store. Sometimes generic brands are not up to snuff. I have great luck with dollar store fasbric Band-Aids….they stick really well! Thanks so much for all these additional items to add to the list. @Sherry – re: bandaids – I like some of the brands and some I don’t like. I am picky about which one’s I choose. The patches for big boo-boos are really a bargain since they are much more expensive in the drug store. Since I have a skateboarder in my house, there are lots of big boo-boos. @Angela – oh my! I have never noticed the wet/dry pads. I MUST look for those. I use swifter dry pads as dust rags. @Julie – I don’t drink organic soy milk but I think I will check it out. Thanks. Did anybody mention Pool Noodles? They get used for all kinds if alternative purposes and craft projects. Sterno trays and other aluminum containers. Plastic ones as well. @Kim Just added your tip to the list. We’re up to 30 things – I’m amazed! Sunglasses! For something I throw around with no concern I can’t be paying big bucks! And ironically my $1 store sunglasses have lasted quite awhile – as opposed to the pricier yet flimsier sunglasses of the past. And I echo the frozen food! I’ve gotten frozen pretzels (that I couldn’t even get in my super market! ); vegetarian spring rolls; fries; and chocolate eclairs. Baking! !! Get ALL your white, Brown and powdered sugar there! And they often have the packages of Marie Calendar muffins that I grab if I just want a quick treat for my family. I have several talking books at home for the grandkids. First time I replaced batteries, I went to Radio Shack. Too expensive! Next time I got a book light at Dollar Tree and got 3 of those flat watch type batteries for $1. I’ve had the same experience. Thanks for sharing. I know you said no food, but you also said it was because non-processed etc. was hard to find at dollar stores. I’ve had the opposite experience with one particular item: juice boxes. It’s hard to find 100% juice at most supermarkets, and when you find it, it’s pricey. The local Dollar Tree sells four-packs of 100% juice boxes, some of them organic. They’re smaller than standard size but perfect for my preschooler. @Susannah Nice find! I’m going to add it to our ever-growing list! I scored little bottles of Odwalka non GMO mango juice in the fridge at 99 cents store. Have to stock up on these things! Also Scar Gel, similar to Mederma, which is about $15 at drug stores. I always buy toothpaste (Aim) as well as dental floss. @Betty Thanks Betty! Adding your two items to the list. We always stock up on AIM from Stop & Shop when it goes on sale for 79-cents. Is the AIM I buy any different from the AIM you buy? Not sure there is really any way to tell. @E. Anderson Certainly a lot of the products do come from China, but also Canada and Mexico and the U.S. itself. Unless there are “made in…” stickers on an item, there’s no way to tell, right? Most things you buy anywhere are made in China, even at high prices. @Rachel B. Thanks for these amazing ideas. I’m adding them to the list now. I was in a dollar store one day and the ladies ahead of me bought several pregnancy test kits. They said they use them for mares on the ranch. Cheaper than getting a vet to check them. Wow, I’ve certainly never heard that before! I bet that saves them a bundle. Dollar Tree has a good selection of tableware – bowls, plates, coffee mugs – all the same brand, all the same style (white, like you’d get in a diner), and all $1 a piece. Consider that even the good stuff will eventually break, chip, etc., you can’t beat that. Also beer glasses. Nice 12 oz or pint glasses like they have in pubs. @The Gray Adder So true! My sister outfitted her kitchen with dollar store plates and bowls. They were a crisp white, very classy. And she spent less than $20 on everything! careful with some of the tableware.. The paint can be toxic.. I found a section with coffee mugs that were really cool.. and stickers attached to them that said not for food consuming.. If it didnt have the sticker, I wouldnt have known.. Just be careful! Yikes, that is good to know! Why on earth would someone buy a coffee mug if they can’t drink from it?? I like to buy most of what is mentioned above. I also purchase what I call chip clips. They come 5 on a card and I use them to close up an bag that I opened and haven’t finished the product. I purchase the windmill cookies for my Mom who really loves them. The small ceramic oil scent burners and the little glass jars of oil to put in them. Sometimes they offer nice facial tissue. @Lisa I have also bought chip clips at the dollar store! Your other tips are fantastic. Will add them to the list soon. Love the storage containers and Xmas decor for the tree. Makeup has some good choices. I am a case manager for people with disabilities, and when someone’s birthday comes up (as it always does) I buy cards or little gifts from the dollar store. I also like Noxema razors which I have found at Dollar Tree (the give you a good shave and do not nick like cheap-o Bics). My favorite thing by far though are the handy wipes. I keep them in the glove compartment of my car and use them to clean up spills, wipe down my desk, wash my hands when I’m on the go, I’ve even used them to remove make-up in a pinch. @Katie That is so kind of you and very thoughtful. I’ve added all your great tips to the list. I can’t believe how long it is getting! Microfiber cloths and the dusting mitts. Always come from Dollar Tree. Why spend $5-$8 on one? I don’t know if anyone has mentioned these yet but I stock up on cotton rounds at the Dollar Tree. They cost between $2 – $3 at drug stores. @Lora Just added your tip to the list! I always buy toothbrushes at Dollar Tree. Sometimes you can find a package of 2 Colgate toothbrushes. You can’t beat a deal like that! I also get my hand sanitizer, petroleum jelly and body lotion there. Dermasil lotion is a quality brand. The price of hand and body lotion is outrageous. Eight to ten ounces of body lotion for a dollar is fine with me! @Catseye Good finds! I’ve just added them to the list – we’re almost up to 70 items! Pregnancy tests! Dollar tree has them for $1 while the name brand ones anywhere else can be $10-$15! I’ve used them to find out I was pregnant with both of my children and I know others who have too. They’re accurate and so much cheaper. Me too!!! This probably the best deal in the store and they worked better than the more expensive ones for me! You can take like 5 of them AND still come out ahead!! I’ve also had friends rave about their ovulation predictors!! @Crystal Holy cow! What a unique item to find at a dollar store. I don’t think I’ve ever seen pregnancy tests at my local dollar store – though I haven’t looked. Good to keep in mind! Sometimes they are at the check out area. I had a friend who works in OB/GYN office say they use these too! As accurate as their lab tests!! http://www.oralhealthproducts.com/. Their toothbrushes are made in the U.S.A, and cost $1 each. They are availablle in stores and you can order online. I bought mine online with a small charge for shipping. They are good toothbrushes. I like to save money too, but I would rather buy American made goods when I can. @Sue Thanks for your input and sharing the link. Now folks can check! 37 & 58 if I recall correctly are both toothbrushes @bargainbabe. Figured you may want to delete one since it’s on the list twice! At Dollar Tree I buy AngelofMine Baby Wash and Creamy Baby Oil Lotion. They both have that mild baby oil smell. I use both products for myself — the baby wash as a bath wash and the baby oil lotion is strictly a lotion but goes on smooth, sinks right in and is absolutely not oily. So don’t buy expensive, overly perfumed lotions and bath washes, you will no be disappointed with these two products. It’s a nice list, except that many of these things are actually cheaper at Wal-mart. Wal-mart’s toothbrushes start under $1.00, and many other things you can buy in bigger packages at Wal-mart for better quality and less money. If you are having trouble conceiving and will be using a number of pregnancy tests, online strips are way less than $1.00 in packs of 25, and Wal-mart puts theirs on clearance for $.88 each a few times a year. Greeting cards are cheaper at party stores–you’re typically $.47-.66 each. But there are some areas where dollar stores beat everybody. If you’re looking for glass candle holders, such as for a wedding, the dollar store has the best deal around. Ditto with small baskets. Microfiber cloths are also the cheapest at the dollar store. @Jenny at Frugal Guru Guide Thanks for your insights! I’ll add these new items to the list, and make a note to readers about finding some items for cheaper at Walmart. I’ll say it again: calculators. We’ve bought purse-sized and small desk-sized. I have been surprised that the batteries last so long. Also, little clip-on lights. I hook mine to my notebook (computer) for use at night in the car. @Diane Didn’t I add your tip to the list? Perhaps someone else gave this suggestion before you did…not sure. When I next update the post, I’ll check. Disposable baking, muffin and roaster pans. Not as sturdy as the store brands but if you are not making anything heavy, they work great! They can cost up to $5.00 in the grocery store. @Lori So true! Bakeware can be really expensive. I bought my muffin tins at Job Lot, which is a chain here in RI that sells overstock and second runs at a discount (usually). The only thing is, the muffin holes are a tad bigger than standard, but it’s not been a problem so far. Double up on the pan. 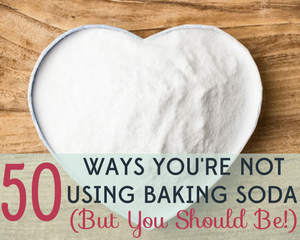 It will make it sturdier…especially if you’re baking a Lasagna or Homemade Macaroni & Cheese. Just bake a little longer under a watchful eye. Also buy my kitchen utensils here…measuring cups, spatulas, pizza cutters etc….my local store has Rubbermaid brand! Sunglasses! Once in a while, they have a decent selection at 99c Only. No remorse when accidents happen. Also, 4 packs of Sony or Warta branded AA/AAA batteries – same technology as Duracell, but 3 to 4 times cheaper! Dollar Tree: LED small lights are great, use AA batteries, also found at Dollar Tree; my laundry soap, bath cleaning supplies, rubber gloves, paper napkins, baggies, cat litter bags, all decorations for parties, once I even bought out all the pink plastic flamingoes! Most generics are good, food items, only name brand items. Dollar Tree really stretches my budget/wallet. The 99¢ store has bottles of spices! My husband always loses his tape measures, so I’ve started buying them at the dollar store. They’re sixteen feet long and work just fine. He now has them on every floor of the house, in his truck, etc. Plastic Easter eggs and candy. Instead of going to Kmart and buying the pack of 5 for 4 dollars, I get the ten pack for a buck! They work all the same. They always have the jelly beans and other name brand candy to put inside of them as well! 1 way and stock up as much as possible on what I need/want. – and my all time favorite – BBQ tongs!!!!! GMO free should also be vegan and cruelty free . personal care products brand and La’s totally awesome generic sold at dollar tree and 99¢ only is crueltry free so there’s no excuse. GMO to cruelty free to vegan . Hope to see you there. I absolutely LOVE this list. Dental floss is definitely one of the best buys! Why pay $5 at the pharmacy when you can get it for $1 at the dollar store! Basically listed every item they carry. This list is obvious nonsense. For example, if you buy any electronic device-including something as simple as a flash light- at a discount store you are throwing money away. I buy multiple sheets of sandpaper that sell for around $5 at Home Depot for a dollar at my dollar store. I bought that 20 pack of sandpaper just to give it a shot, figuring it would be junk. It isn’t bad! Love that it’s already sized for my pad sander, too. Which dollar store did you get the sandpaper at? Needing some right now for a project using an electric pad sander. Why are you comparing CVS to a dollar store unless you’re trying to show a bigger difference than if you compared it to walmart which is way cheaper than cvs or any drug stores. Drug stores are very expensive, at least out in southern california. For example-walmart-can get offbrand 4 rolls of toilet paper for 68 cents, at the dollar store, its a dollar lol. Or offbrand soda 2 liter, 85 cents at walmart and a dollar at the dollar store. lol Or 99 cents for a bag of gummie bears at walmart that is two times the size of the gummie bears at the dollar stores. The other thing, just because its a dollar does not mean its cheaper. I have worked in retail for over ten years, and worked in the dollar stores, they have smaller quantity sizes of things which fools many people into thinking they are getting a deal! I was thinking the same exact thing! CVS and Rite Aid are horribly expensive for normal every day things but many things you can find at Walmart for 88 cents which is less than the Dollar Store! Laundry soap and The big green bottle of the fabric softener smells so good. and the cheeseburgers in the box r good tasting, deodorant, and blond hair dye ! I love that detergent! Their LA Totally Awesome stuff is good for 32 loads for a buck. I buy all my detergents, soaps and chemicals there. I also recently starting buying almost all my household supplies at my local Dollar Tree & agree that the LA Totally Awesome brand holds up to any other store brand but usually saves me $10-$50/month by saving on items that ar upwards of $3-$5 even at Wal-Mart. I read an earlier comment about how some items are under a dollar a Wal-Mart while most have now introduced the Price First label as the “under a buck” brand not every location carries this label and consequently the Price has increased by a dollar or more on all other brands. I have read so many recommendations for that Totally Awesome cleaning brand. I am definitely going to have to try it. You should definitely try it! I use it for everything! Hubby does maintenance for apt complex and uses it to clean vacated apartments. Great to use in carpet cleaners too! I had been using the pricier stuff and it didn’t always remove kids/pet stains. But the LA Awesome did!! I haven’t found anything comparable at any price. Tupperware! ! 99 cent store only. They have square and rectangular ones with the snap top lids. They fit perfectly in my son’s lunch bag. He loses them all the time and I just can’t afford to keep spending $12 on a set of 3. (That was the last time I went to Walmart and bought something similar ) now I got to 99 cent store and buy 12 for $12. It also includes the lid. The dollar tree sells the lid as a separate item. (Which is great if you’ve lost the lid or the bottom. Lol. I love them for household & kitchen gadgets. Screw drivers, hammers, masking tape, car air fresheners, I have a multi head screw driver with changeable heads paid $1 for it, at hardware stores their $5-$10! Also clothes hangers, laundry & garment bags & plastic stackable bins for organizing, the list goes on and on! I find the clear band aids at dollar stores are awful but the skin color band aids work just fine. I love the book section! I have found hard cover books on diy crafts (published within the last year or so), Stephen King novelas, Ugly Betty: The Book, graphic novels (Speed Racer, the Mummy). I like to get sleeping masks. Their makeup section is pretty decent, sometimes I find the Elf brand and I once got some eye shadows that usually retails for $6. 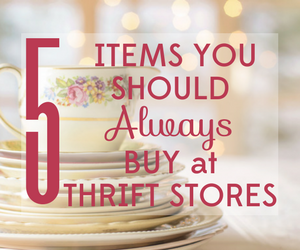 Some items would be lint rollers, specialty brands of foods (some people might call them no-name brands) that can’t be found anywhere else, trading cards, glitter glue, etc. We go through a lot of hand soap in our family. Used to buy the $3/bottle Method stuff from Target. But we switched to something far cheaper. You’ll need one of those foaming soap dispensers first, then what we do is refill it with a 1/4 cup or so of Dollar Tree bubble bath soap then fill the rest with distilled water and mix it up. Works great, smells like vanilla frosting and costs only pennies. That jug of bubble bath lasts a real long time. Sure beats buying 6 or 8 $3 hand soaps from Target! I always buy doggie “potty” bags there…you get several rolls in one package of black doggy bags and I love them. You can’t beat it!!! They have marijuana tests too. Not accurate. I found a good lube there. It’s called warming gel though. It doesn’t dry out too quick, and it isn’t too thick. Walmart used to carry it, but guess it’s too cheap for them now. I love dollar stores so much I made http://www.1dollarthings.com to recreated the experience online. Also, household cleaners.. like pet carpet cleaners or surface/all purpose cleaners. I’ve read a while back that they still all use the same chemical ingredients. Ive had no complaints so far! So much cheaper than spending $4-6 on one cleaner. Yes, i DEFINITELY agree the doggy potty bags are a must buy at the dollar store vs a pet store. Slightly thinner bags but still works the same. I agree! I buy the doggy bags all the time. If you are going to buy any kind of food product at a Dollar Tree, please look to see where it is made. A lot of the stuff is made in China and I personally would never eat anything made in China. Very good point. I don’t generally buy food products from the Dollar Tree (other than the occasional name brand item), but honestly, a lot of foods sold in regular grocery stores are made in China. I think the only way to avoid it is to be extremely vigilant. Hopefully that will change in the near future. I buy paint brushes for general household use. I can repainted a bookcase or chair and throw the paintbrush away. I used a pack of 3 to paint my whole deck. The sponge brushes are great too! We’re building a house now and I buy our paint brushes at the dollar store. Three different sizes and I’ll wrap them in plastic bags between use and just toss them when they’re all used up. No spending precious time washing out expensive paint brushes! Also got a nice metal scraper there. Paint brushes are a great tip. I’ve also used Dollar Tree sandpaper. It works just fine. At the dollar General there are these really good pork rinds. The Dollar Tree is by far my favorite Dollar Store. Everything is always a dollar and they usually have name brand make-up like Revlon and Milani. I once scored some Covergirl/Olay cover up that was originally $15. They always have great prices on over the counter remedies and I have even found Mucinex there. I have noticed that their product selection varies from store to store and there is one store in particular that I always find amazing deals on name brand stuff. Dollar Tree’s “Totally Awesome” cleaning products are exactly that! Best spot remover on the market. These products can’t be beat. Wow, that’s an interesting trick! I’m going to have to give that a try. I always buy vitamins…especially melatonin. Have you priced that at Walmart? Expensive! One buck at Dollar Tree and works great! I also love buying the hand held dental picks/flossers at Dollar Tree. A few things I consistently by there for Big savings, BBQ grill lighters, name brand deoterant, fuzzy socks, calendars, & even a hammer. I have also found organic broth there too! I have always bought the $10 bathroom rugs sets as they are thin enough for my bathroom door to open and close over them and have the brightest colors. Also, do crafting with sequins and beads and the little square plastic boxes 6 or 9 in a pack are great for separating them. The toilet things that smell great are only $1 at DG and the dog bones and cat food are good also. Our Dollar Tree has lots of bargains. reading glasses in every strength, sunglasses, etc. You really know how to shop at the Dollar Tree! I just picked up some of those mesh laundry bags. I’ve never used them before so I’m glad to read your endorsement. I always get lint brushes at Dollar Tree. They have the traditional rolls of sticky sheets, but also a reusable one that I prefer. I only have to buy more because I’m bad about losing them. But still much cheaper than the grocery store. Also, I advise checking on the toothpaste. I bought my toothpaste at the Dollar Tree for a long time because I assumed it was cheaper, but one day I actually did the math and it was much cheaper to get a twin pack of big tubes at Walmart; the tubes at Dollar tree are much smaller and end up not being worth it per ounce. I agree, you have to check the price per ounce to make sure you’re getting a good deal. I couldn’t disagree more. The quality if batteries, storage containers, eyeglasses, etc are horrible. The cards are plain and boring. The wrapping paper is too thin to wrap things in. . The only thing I get there is gift bags and Mylar balloons. I especially have am issue with 47. If you are going fyi doo gifts for Christmas for next children, don’t they deserve more than trinkets and junk toys from the dollar store? My sister used to brag about all the kids she bought for at Christmas. But it all came from the dollar store sms was all junk. I fell really bad for the kids that received expired tootsie rolls and knock off barbies. I love to buy the flower vases if I’m doing a party at a restaurant. I can buy a big bouquet of flowers from Costco and then divide them up between the small vases. It makes a pretty decoration for not much money and people can take them home as favors after. Great tip! I’m going to have to remember that. Sometimes Dollar tree has dog waste baggies. Great deal compared to Petsmart that usually has them at about $5 a package. On the same note as Carla’s comment, they carry small bathroom wastebasket size trash bags in three different scents. 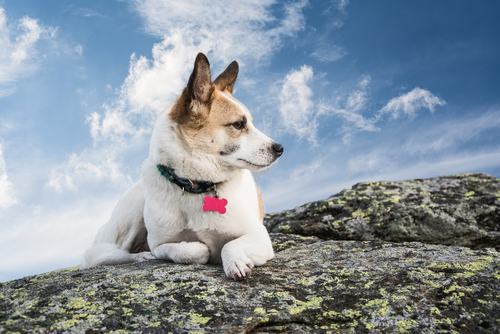 These are cheaper than dog waste bags, because there are more in the package. I also use them for dirty diapers (cheaper again, than bags advertised for that use), and for scooping the cat litter box. I like some $ store stuff. My wife is a dumper. Wish they had blue dish liquid to swap into the “dawn” bottle. My wife goes through a bottle a week, and we have a dishwasher. Toothpaste is cheap, but it is probably made in China. Do you really want to put that in your mouth. The masking tape is horrible. Wise potato chips are cheaper than the grocery store BOGO sales. Small tools are OK for light duty, occasional use. Fruit slices candy (Truly Fruit). You get 16 pieces in a nice box at the Dollar Tree for $1.00. They are made in Canada and sell for $4.99 online. I’m a landlord and when we get an other home or when a tenant moves out we go to the dollar store and buy a lot of things. One of the things I love is Bang. There is nothing that gets soap scum off the walls like bang…but wear a mask. We buy plungers and they work well too. We get them for the upstairs and down stairs. Our dollar tree had door mats. We bought a whole bunch of them in case they stop selling them. We get dust pans and use them while we are cleaning and leave them for the new tenant. We get toilet boil brushes and cleaners as well as Ajax. That stuff as well we leave behind for the tenant. We buy a lot of cleaning things at such a great price and just leave it behind. We never see the plungers and toilet brushes and things like that when they move out so we are glad we didn’t spend a fortune. In my hometown there is NO Dollar Store, so when I travel I am always looking for them. I always look for some electronics, hair accesories, school supplies, photo frames and the seasonal items they have. My MUST buy: reading glasses. In my last trip I carried out 20 reading glasses… 20!!! Now I have two at the office, two in my car, one in my mother’s home, one in my daughter’s car, one in my…. well you get the idea. No dollar store?? That’s tragic! I always buys disposable shower caps at the dollar store! A pack of 12 for $1! I wear each one once and then dispose. The cleaning brand Awesome. It’s the best cleaning product I’ve seen out there, I even dilute it because it’s that powerful. Pls note: I heard on tv. the other day, Do Not purchase $ store extension cords. Many are faulty and made with the wrong gauge wire. Big fire hazard or great way to trash your appliances, computer, etc. I love buying sippy cups & cute plastic plates & bowls @ the Dollar store; great for the grandkids. Also: activity books & other kid friendly entertainment cartoon favorites like Frozen,Minions,Mutant Ninja Turtles,etc. The school age learning books are awesome too for all ages. The arts,crafts,scrapbooking department is pretty good also. So much to choose from for only a buck! Our dollar store carries organic shelf stable boxed milk with expiration dates that end in 2017. I don’t use a lot of milk but love to keep it on hand for when it’s needed. l stock up on the boxed stuff every few months and love it. Wow, your dollar store is a lot more upscale than mine! I don’t think I’ve ever seen organic anything in my store. That is a great buy. Stickers and/or sticker book for the kids! I get the fold over sandwich bags at Dollar Tree, 100 in a box for $1 and use them to clean up dog dirty. Much cheaper than the doggy bags. I would caution to check the quantity and/or volume of the products at the dollar store vs. other places. You might only be paying $1 at the dollar store instead of $2 at any other store, but that might be because you’re getting half the amount of product. Not always the case, but I have run into this. I buy space bags at the Dollar Tree. I used to buy the name brand, the the cheapies work just as well and are a fraction of the price. I also purchase cleaning buckets and plastic organization bins at the Dollar Tree. Note pads, too. I am constantly taking notes and making lists, so I go through note pads like crazy! I would stay away from the off brand tin foil unless you want to be picking little parts of metal out of your food! I will NEVER buy toothpaste Fromm the dollar store. I use AIM brand, which you can get for about 88¢. Now by all means, if you use some special whitening tooth paste and find it there, go for it. I buy pans for baking, several sizes of baggie type bags, seasonings (they are so expensive at regular stores), makeral (which is healthier than canned salmon), toilet paper, paper towel (these are things you’re going to use and throw out or flush anyway), foil, cooking utensils. There’s a lot more I buy at the Dollar Tree; food, personal needs, treats. Some of the Dollar Tree’s cooking utensils are really high quality! 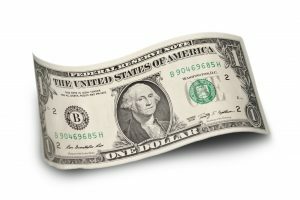 It doesn’t have “Dollar” in its name, but if you have a Big Lots store nearby, go there first. They have all the usual dollar store items but their stores are cleaner and more inviting. Periodically they will have a one day sale, usually a Sunday, with 20% off your total purchase. Their holiday merchandise is always good value and right after Christmas last year a lot of their decorations were 70-90% off sticker price. I scored some gorgeous non-shatter ornaments for my front porch for almost nothing. And I buy the sweet potato dog treats for my dog! he loves them, and they are surprising high quality, and without extra additives! best dog treat buy anywhere that I have seen! I’ve never seen those before. I’ll have to look for them. Where are they made? I’m afraid of pet food made in China. Hahaha! That is hysterical. Such is the power of the dollar store! I have recently purchased 4 cases of the “as seen on tv” reusable clip to cart grab bags. 2 comes in a box for $1!! Great neighbor, teacher co-worker gifts and add a grocery store gift card and you have the best gift. Great score! I’ve heard that some Dollar Trees carry those, but I’ve never seen them in my tiny DT. Glad you had better luck! Be wary of using Dollar Store pregnancy tests. I thought I might be and was at the Dollar Tree anyway so picked two up. They both said negative….Well I ended up being pregnant! There is no such thing. Such remedies are not effective and are all worthless. homeopathic remedies are a scam based on an absurd theory from the late 1700’s. This has nothing to do with “natural medicine” which may or not be effective depending the treatment and substance in question. I encourage you to do your own research. I try to buy food made anywhere but Asia. The way to tell where food was processed is on the bar code, Go on line and research food bar codes and you will find how to read a bar code. There is also a list of countries and their bar code. The first three numbers of the code tells what country it is from. You can get the whole list. China knows Americans won”t buy if they put made in China on food so they stopped putting it on their products. I live in the UK, and we have various equivalent chains – Poundland, 99p Store – which sell a lot of branded stuff cheaper than the local supermarket or pharmacy. Toothpaste, deodorant, body spray, cereals, biscuits, sweets to name a few. The Best items for your buck…Pet Treats…and Adult Coloring Books which can retail for up to $15 some places! I found Vicks Clear Quil for my sinus problems and it works great. 24 gel caps $1 you can’t beat it! Their brand of Z Quil works great too! The off brand q-tips are no good. I tried them and the cotton tips seem to get fuzzy. Also, I get hydrogen peroxide for 88 cents at Walmart. I do buy scotch tape, gift bags, gift bows, post it notes, envelopes, spray bottles, and the off brand of wheat thins (taste just the same). I always buy the plastic food cover-up’s, it has three sizes in one box of 20. They are super convenient and can’t beat that is only a buck! When I had my dog, I used to buy all kinds of toys, treats, and even food and food dishes, leashes, poop bags all sorts of stuff for him. Now I have my little kitty and I will be going to Dollar Tree for all her essentials too. I wasn’t a Dollar Tree shopper until I moved to a location that had one right behind my house. I buy many of the things on your list and have a few extra things to suggest! 1. You mentioned toothpaste, but I wanted to specifically mention the DT carries both Colgate and Crest kids’ toothpaste at a significant savings over WalMart! 2. Deodorant – I watch for Teen Spirit and get it for $1 at DT – I’m not a teen but the scents are more fun! I also get Speed Stick for my boys! 3. Fabric Wrinkle Reducer – have you priced this stuff? It’s over $4 a bottle at WM but only $1 at DT (off brand of course but works just as well)! It’s a great clothing refresher, too – it smells great! I go through a ton of this stuff so for $1 I have no guilt doing so! 3. Fabric Refresher – it’s the DT brand but works just as well! 4. Tools! The quality isn’t the greatest but for some light duty needle nose pliers or screwdrivers, it’s great! I also found some monkey hooks there once, too – saved a ton of $$ on those! 5. Homeschool/learning tools – I home school and always find great workbooks there for the younger grades! Lots of cool charts, maps, stickers, certificates, flash cards, etc. 6. Push Pins! Fun colors, too, and you get a ton in a pack! 7. Makeup! The LA Colors lipsticks are amazing and their trio eye shadows are excellent as well! They will carry some E.L.F. stuff and will sell closeouts of some brands, too – I find Milani cosmetics there sometimes.I have great luck with the nail polishes, too. 8. Lip Balm – I get the Blistex lip balms there and love them! 9. Gift bags and tissue! 11. Liquid dish soap – it’s not the same as Dawn, but for every day cleaning, it’s perfect and I get a HUGE bottle for $1. I also will get the small sample bottles of Dawn Platinum there for the tough jobs. 12. Liquid hand soap – they carry refill bags of hand soap for $1 and the quality is excellent and they smell great! 13. Hand soap dispensers – nothing fancy, but they do the job and are ceramic! I have even bought them just for the press down nozzle to replace one that broke on a fancy, expensive dispenser! 14. Glass candle holders – they carry simple and chic glass candle holders that I use with the glass beads (also from DT) to put my makeup brushes and eye/lip pencils in. 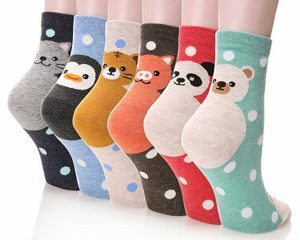 Very cute and cheap! 15. Dishes! They have very nice stoneware in fun colors! 19. Toys! Most are junk but they do carry some really nice wooden toy cars that are super durable! Also a great place to get small rubber balls and some fun dress up things! 21. In the baby section they have 100 diaper disposal bags with tie handles – we get those for doggy doo. 22. Laundry stain remover! It’s the LA Awesome brand and it has oxy clean in it – I have a grape juice drinker and this stuff makes it disappear before my eyes. Works great for other stains, too. BTW, I have NO issues with the DT cotton swabs (use them daily for ears, makeup, everything, but don’t get the colored sticks, which are flimsy plastic, get the plain white ones with the paper sticks) and I have the reading glasses all over my house and they work great and have lasted a long time! My husband wears the sunglasses, too – other than some Ray Bans he used to own that lasted for years, they have lasted longer than any of his other sunglasses so he just gets them there now! Awesome list! I agree, some of the glass candle holders are very chic. All dollar tree stores have different items I’ve gone to 5 dollar stores. Gotten different things. So if you can’t find it at one store go to a different one. At my local Dollar Tree (not sure if they’re all stocked the same), they sell a wide variety of tools – pliers, needle-nosed pliers, screwdrivers, levels, hammers, etc., you know…basic, (almost) everyday things one might need. I was extremely surprised at how well they are made! I bought a pair of pliers, came home, hubby uses it within a few days and says, “Where did this come from?” my reply – “The Dollar Tree…I figured it was time for a new one, and it seemed to be really sturdy, and strong. Is it junk?” hubby’s reply – “…(here is where my darling hubby stood, staring at the pliers in his hand, as if I had just told him they had been forged by the same maker, and material, as the hammer of Marvel Comics character Thor)…The…Dollar…Tree???…Really?? ?…Do they have any other ones like this?? ?” (excitement pouring from his voice like a child asking Santa Claus about all the workings of the North Pole!) my reply – “Yes, of course, they have so many different kinds of tools, it’s crazy!” I could go on and on about what came next, but I’m sure you get the picture! Pointless, really, to say now, we have EVERY tool from the Dollar Tree!!! I have also been building sets of Betty Crocker kitchen tools, and other kitchen items, to give as gifts too! I find the Betty Crocker cooking spoons, slotted spoons, turners, whisks, etc., to be excellent!!! You can get cheap kitchen tools for under a buck at Walmart, but they aren’t even worth a buck to begin with. The Betty Crocker tools are excellent quality!!! I have a Dollar Tree tape measure that is fantastic quality! My husband is always stealing it. I should probably put one in his stocking this year! Sunglasses . . . I am ALWAYS losing my sunglasses and buying them from the dollar store is a very affordable solution. They don’t carry them all the time but when they do I am sure to pick up a few. Flash cards, Children’s book, picture frames. You have toothbrushes on there twice; That’s technically 66 ‘things you can buy’ (not including the bonus items, but that would be 68). Also, what about bobby pins? can you get them there at all, & if so are they a better bargain than other places? I use the cloth bandaids they have more tape on them. Dollar stores was the greatest thing they ever came out with. Love the store. My husband buys Artic Ice from the Dollar Tree. It’s for aches and pain. I use it for relief from Charley horses in my legs and feet. Much cheaper than Mineral Ice and seems to work just as well. Other great deals are deodorant, bar soap (two per box), antacid (Tums knock off), foot powder and athlete’s foot spray. All of these items are over three dollars (or much more) at retail stores. I buy the. OntIners to make my ” CHRISTmas in a box” boxes. They are like 5/$ 10.00 or more in other stores…..I also get my colored tissue paper to go in gift bags there.one of my favs…they always have Bazooka bubble gum! I buy containers to do my CHRISTmas boxes ……for CHRISTMas in a Box…..then they have plastic containers to keep instead of a shoe box that will be torn up. I also buy my tissue paper to go in gifts…..Bazooka bubble gum….they always have a good supply of theatre candy…..name brand toothpaste, soaps, & they have the diabetic socks! They are difficult to find & expensive…..one of the things I gift to nursing homes & VA homes! Do not buy their tapes or bandaids…..they do not stick well! They have pain medicine that is equal to Tylenol pm….24 for $1.00 ! Cannot beat that! I am a nurse….I buy all of my antibiotic ointments, peroxide, alcohol, pain tablets there…..cannot beat the price…..at CVS, antibiotic ointment would be at least $4-$5.00 Ps…light bulbs! They have name brand gum & candy! Dollar tree over dollar general Everything $1.00! Plus Noone stated they take Manufacturer Coupons as well!! Good point about the manufacturer coupons! I do that all the time. It’s the only place I’ll buy trash bags (bathroom and kitchen sizes). I refuse to pay the crazy prices at the big-box store for something to just throw away. Do they hold up? I’ve always wondered about their garbage bags. I just don’t want a bag that’s going to split open while I take it out! I would have to say yes, they do hold up. But the quantities are small. So if you don’t go through much garbage, then it’s a great place to buy them. I get my crafting and jewelry making supplies at Dollar Tree!! Love that they have this section since I sew, craft and make jewelry and then I can keep my cost down. I absolutely 2nd the Band-aid comments! For medical reasons I use a LOT of Band-aids (4+ a week)! And it just killed me to pay retail $4 for Band-aids!?!? That’s just crazy talk!! 2) Teen Age Mutant Ninja Turtles, warninf wildly various sizes! = **Warning** For whatever reason, these cause my skin to become red and imflammed. (2-3x’s because I was too stubborn to stop using them..Don’t judge, they were so CUTE!!.. And although I looked like a 4yr old boy who’d lost a fight with a band-aid monster, it was still cute! But, not Cute Enough to put up with red inflamed skin, so PASS!! I think it was either the adhesive or possibly the pastic of the actual band-aid! Either way, sadly, no way! 3) Cute Kids = Not sure of the name, but the hog-podge discount kids group picturing cute little white & brown skinned boys/girls..(they are cartoon & look like dora-esque, but are not dora related at all)…I started out with these, and because they seemed to work well, I went back again…unfortunately, something changed and they stopped sticking as well as they had before…and as these are meant for actualy kids! (& Not for a little to no activity indoor adult), I would advise passing on these too! I went back to the Neons, knowing full well they’re going to fall off, but that’s ok, I just need them the 1st 6-8hrs ..if I try others, I’ll let you know how it goes! Thanks for the run-down on dollar store band-aids! That’s really great to know. Try ones that are fabric bandaids, they are much much better, and they actually STICK..
Nearly all of these things are consistently cheaper and better quality at Wal-Mart than the dollar store. In my country Cambodia, there are some marts called 50 cent marts. All products are sold at that price. Most people come to that mart and buy those products. However, it is not sufficient, and some products are not BPA free. One to add. Dishwashing gloves. I have big hands and bought a pair of the cute pink and flowery glam gloves at Walmart. They were too small and I ended up tearing a finger out of the glove trying to put it on. Picked up a pair at Dollar tree and not only did they actually fit, they cost a buck!!! Also the outside gardening gloves. We’re working on cleaning a big yard with several dogs, who like to run off with our gloves, so being able to get them cheap is great! Oh, and our local Dollar tree stocks an 8 pack of Welch’s grape juice popsicles. The kids love them and they’re juice instead of koolaid type pops! 1. LA’s Totally Awesome Cleaner. It’s concentrated and will last a good long time. I use it for everything. Best thing I learned about it was from hubby: great for cleaning carpet, and can be used in carpet cleaners. This beats other cleaners I’ve used at any price! Also has a fresh clean smell. 2. Air fresheners. Their brand has 9-10 ounces vs 7 oz of name brands. They have a great variety of scents. My favorite is the seasonal apple cinnamon! 3. On the same note, their disinfectant spray is awesome. I love the linen scent (so much better than anything Lysol has). I’m a germ-o-phobe so I really go through this. 4. Pool noodles. Granted theses are the smaller ones, but they make wonderful wreaths! Just bend and tape together with packing tape–also from DT. Then cover with whatever you want. My current wreath is made with flip-flops, children’s colorful sunglasses, tropical flower, and silk butterflies (all from DT). Cute summer accent! pool noodles are also great to cut up and use as furniture protectors for toddlers—keeps those sharp corners covered. 4. Another seasonal item I love are the plastic flower pots! 5. My current favorite is their fans—the accordion, Japanese-type. I’m menopausal so I have plenty of these around. lol I haven’t been able to find these in all DT’s but many of them do have them, unfortunately not the one 2 blocks from my house! 7. I love 3-way lights, but they are so expensive. DT carries the Sunbeam brand, and they are quite good. I know, should use CFL’s or LED’s but their 3-ways are not as good. 9. Cotton swabs: I bought 2 bags of 1000 ea a few years ago, and still have a whole bag left. I DO NOT use them in ear canal so if cotton comes off it is not a problem for me. Great for all my uses. 10. Small purse-size packs of facial tissues. These usually come with several individual packs (5 or 6, I think) to a package. These tissues are much thicker than name brands. I have even used them as napkins in a pinch- they are so thick. 11. Another one of my favorites is their creamy petroleum jelly. Sometimes they even have it in cocoa butter scent. I love this stuff. Name brands cost $5 or more. DT brand just as good. 12. Hand & body lotions. Many great scents to choose from and all are really good. The Dermasil brand is especially good. I have purchased these to put in gift baskets, and always the recipients want to know where I get the lotions because they love them so. 14. I also buy the Sunbeam batteries. They have done well so far, but I only use them on slow-draining items, like clocks and remotes. 16. Fabric Wrinkle Release. Another great product as good as name brand, but lots cheaper. I have a list almost as long as yours! lol. This is just a list of my favorite must-haves. I didn’t know they sold watch batteries or Goo Gone (use a lot), I’ll be checking that out. Thanks so much for a great list with great tips! Dollarama has tons of name brand body wash, soaps, toiletries etc. Gotta watch the price as some things are smaller in quantity and you don’t actually save. They always have tons of decor items and inexpensive craft supplies. Or you can alter the decor a bit to make it look better quality;) ( i do this a lot) never know what you can find here! Dishes is another thing though some may break more easily. Hydrocortizone cream has already been mentioned as it’s a great buy at Dollar Tree but an even better value is Dr. Sheffield’s Anti-Itch cream which is a generic brand of Extra Strength Benadryl. Extra Strength Benadryl will cost $7 to $9 for a 1-ounce tube at drug stores like RiteAid or CVS and will be about $3 at Walmart for their generic brand. All will have the EXACT same active ingredients as Dr. Sheffield’s Anti-Itch cream (diphenhydramine hydrochloride 2%, topical analgesic, and zinc acetate 0.1%, skin protectant) but Dr. Sheffield’s is a 1.25 oz tube for $1.00 where the others are way more expensive for only 1.0 oz. Thanks for this tip! I’ve seen that anti-itch cream, but always assumed it was aloe gel or something. I had no idea what a bargain it really is! These are great ideas. I like to get cleaning products at the dollar store–they carry many name brands, as well as some lesser known brands that work well. I like to get gift wrap there, too. Also the cute little “to/from” stickers for Christmas gifts. I have seen someone warn not to get dishrags there, but I’ve gotten some really good ones from dollar stores. If you get ones that feel strong and sturdy, they work well, wash well, and hold up for a good long time. I have gotten cute absorbent “stone” coasters there that seem to be the same ones that sell for $4-$5 dollars elsewhere. Also little everyday things like aspirin, sun lotion, and lip balm. For moms who do a lot of holiday decorating for the kids, this is a great place to get the plastic pumpkins, fillable Easter eggs, and stuff that you’re not planning to keep around forever anyway. The “Lime Away” Bathroom cleaner works better then any other bathroom cleaner out there. I was trying everything to get my toilets clean from the hard water build up. I put that on, let it set for about 15 mins and they are sparkling clean. After spending a ton on other toilet cleaners, I now only spend $1. Thank you for all the tips!!!!! I bought eye makeup remover in the little bottle that was exactly like the $5 a bottle Maybelline. I’m watching for them to get more in stock. I like the oil free kind with the blue lid. I’ve had good luck with the Dollar General fabric bandaids. But the plastic ones, they don’t stay on. Painting supplies for sure. Just went and picked up a few rollers for a Christmas craft we’re doing. Painted several huge pallets and tossed the roller when I was done. No fuss. No muss. At a dollar each for a paint roller, or even a huge brush??? You just can’t beat it. And not having to wash the paint out of your roller?? Priceless. We have a travel trailer and I buy the pop up foil for lining grills with and making meals in for campfires. Also buy plastic bowls, plates and storage containers for the camper, if they break or are accidentally thrown away, no big deal. Buy some small sized medical supplies, but Walmart has travel size items that are sometimes cheaper, especially on clearance-just check expiration dates! I recently went to dollar tree, so for food items I would get the 7inch pizzas.They come two in a pack so it’s 50cent per pizza shell, to compliment that the pizza sauce they have is good too. I’ve used the sauce in stuffed peppers before really good. I even found Hills Brothers Cappuccino French Vanilla. The drink sticks for water are good too my favorites are crush pineapple and crush orange. I went to Tucson for a month. The condo had a sofa, bed and tv. I knew I needed pots , pans, dishware, silverware blanket, sheets, linens, shower curtain/liner, rug and so on. I went to the dollar store, set up house for $30.00!! When we left Tucson, we donated all items. I love the dollar store! I always get calendars at the dollar store. A calendar is a calendar. They all tell you the same thing. Some of the calendars are pretty nice! I always buy them for my kids’ bedrooms. Be careful buying super glue. I used a tube one and it squirted from the bottom corner and straight into my eye. I had to go directly to the ER for them to unglue my eye shot and remove the dried glue befor it scratched my retina. Luckily I only scratched mr cornea and only lost a few eyelashes. Oh my gosh, that is crazy! So glad you weren’t seriously injured. The disposable plastic bags for dirty diapers are 75 for a $1. These are $4 many other places. The fabric band-aids from the dollar store work perfectly. I also use the diaper disposal bags as trash bags in my car. I always buy fabric softener sheets at the Dollar Tree. Also, fold-top sandwich bags. I use them to freeze meats. I put chicken breasts or pork chops individually into the sandwich bags, then pack several into a Food Saver vacuum bag and be able to easily separate them to take only one or two out of the freezer as needed. I add essential oils and make my own bath salts. Ok…Bigger folks get rashes under the flab. I use the dollar tree Athletes Foot cream. 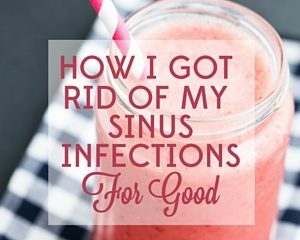 The stuff works wonders and it’s the same as the stuff in big box stores. I no longer purchase generic aspirin, 60 for $1. My grocery store sells generic 200 for 1.99. I love the cotton rounds for a buck. You get 100 and they’re first quality too. I also found plastic bottles with a push down top that dispenses liquid from the bottle onto one of those cotton rounds. I put my micellar water for removing makeup in there, and it’s handy and there is no waste. I’ve been using the same pump bottle for about 4 months now and it’s still as good as new! What an incredible buy for a dollar. I also get headbands and use them when I’m driving with the window down or when I wash my face at night. I’m always picking up great things for a buck. And their Awesome line of cleaning products are the BEST! Love you, Dollar Tree. Batteries, snacks and paper products are all options from the dollar stores. Great article by the way.